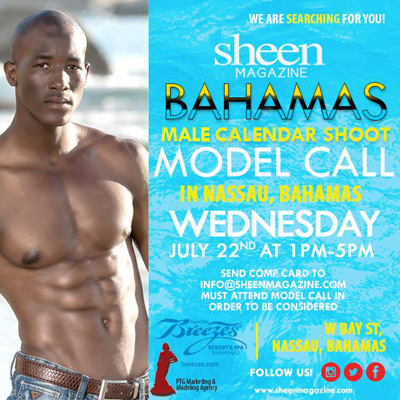 Nassau, Bahamas - International Sheen Magazine along with PTG Modeling Agency is looking for male models with fit great bodies. Send your comp card or two photos to ptgbooking8@gmail.com with name and contacts. A formal model call will take place on Wednesday, July 22nd at Breezes Resort from 1 - 5pm.